The Edgefield County Sheriff’s Office responded to a burglary call on Tennessee Walker Lane in Trenton during the late evening hours of Thursday, Oct. 11. 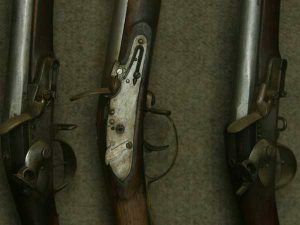 According to the incident report filed by the ECSO, the homeowner contacted law enforcement after noticing several firearms were missing from his home. Six guns and three scopes valued at over $3000 were the only items reported stolen. There was no sign of forced entry into the residence, but an item of clothing not belonging to the victim was found on the premises. There have been no arrests made yet in connection to this crime, but the ECSO is hopeful evidence collected from the scene will lead to a suspect. Anyone with information regarding this crime is asked to call the ECSO at 637-5337.